Our latest show over at the EPIC Voyagers Network we will be something a little bit different, Daniella and I will discussing a new conspiracy documentary which examines the possibility of a secret space program, an elite break-away civilization and many related topics. Join us down the rabbit hole where secret agents teleport to Mars for meetings and rogue astronauts explore vast ruined cities on the Moon. 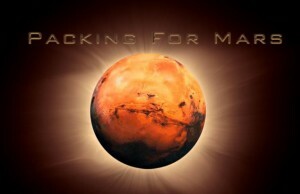 Check out the homepage for the film at packingformarsmovie.com and consider booking an on-line rental now. We will be going over the film content and then beyond into our own research and thinking on this subject area, enjoy the ride! Join us at EPIC Voyagers for the broadcast of the interview on Monday 11th January via the Inception Radio Network 9pm ET or catch us again for a re-broadcast on Dark Matter Radio Friday 15th January 6pm ET.